Our free golf lesson program is designed to completely change the way that golf instruction is deployed as a marketing tool for country clubs. 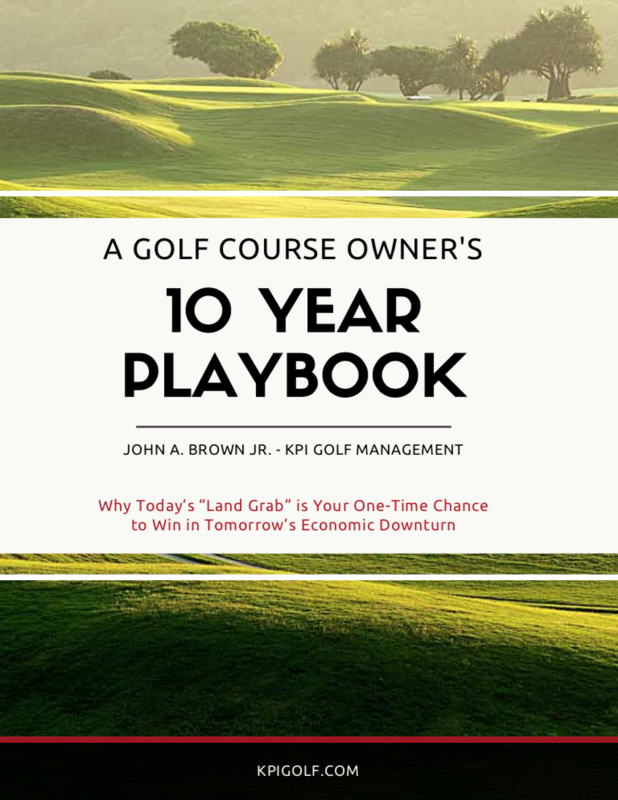 Below, I have outlined the business case for free golf lessons as the gateway for newcomers to take up golf at your facility. Golf instructors typically work as independent contractors, providing lessons to members and guests. We believe that this system lends itself to misaligned objectives between the instructor and the facility. The instructor is trying to maximize lesson rates and build a business for themselves. 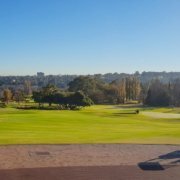 Golf courses tend to consider golf instruction as a paid amenity offered to their current golfer population – not as a significant sources of new business generation. We believe that basic golf instruction is the ultimate gateway into the world of golf. Beginners are afforded a low-cost or no-cost opportunity to learn the fundamentals, plug into the social environment at the facility, meet the staff, and begin to feel comfortable using the club as a place of primary recreation. This “indoctrination” only occurs after many iterations and practice sessions. Beginners need these “touches” to have the chance to build their skills, meet new people, and begin building personal relationships. At standard lesson rates, especially for families, this learning process can be extremely cost-prohibitive, especially when compared to all of the other recreational activities that exist in the local marketplace. To be clear, free lesson programs require club ownership to deploy a longer-term mindset. Newcomers to the game do not yet know how to play golf, nor do they have a strong social network at the facility. They spend far less money than avid golfers. Over time, as we have documented, the long-term returns to facilities far exceeds that of an hourly rate which would otherwise be charged for paid lessons. 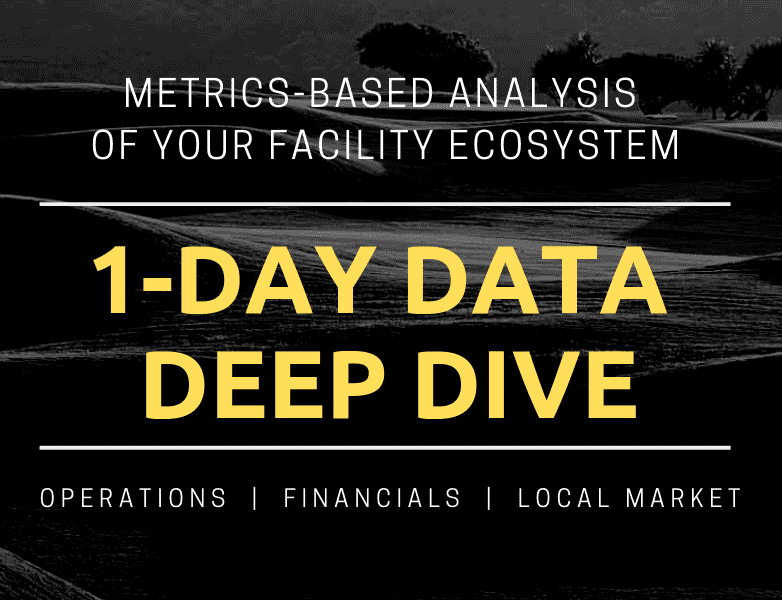 These returns come in the form of additional lessons, green fees, food and beverage spending, referral business, membership sales, equipment purchases, and the like. Below, we’ve outlined exactly how we would recommend deploying, hiring, and marketing this programming – along with anticipated returns on investment to the club. Basic golf instruction is offered for free by the club to all players. Programming is designed for beginners, newcomers, less experienced players, casual players, families, and senior golfers. Avid golfers looking for more technical help are better served in paid private instruction programs. The free lesson program serves as a “feeder system” for your existing private instructors charging hourly rates, etc. Returns on free golf instruction come by way of longer-term benefits – rounds, merch, F&B, membership, club culture, etc. In fact, the long term dollars far outweigh any lesson rate that could be charged in the short term, even at very low conversion rates. Details coming up. For best results, the offering needs to be made without any strings attached, or short-term sales pitches. It is understood that gains come over time, and they are much more substantial in terms of customer lifetime value. The instruction is given without any short-term expectation whatsoever. Students are introduced to people or welcomed into other areas of the club based on their interest levels – not a quick sales pitch. Persistent up-selling or pushy sales practices will sabotage your long-term results. Asking people to buy stuff and sign up immediately causes your referral and conversion rates to plummet. Training is crucial. The program will fail if your staff is taking a short-term approach. Be sure that your team understands that it’s bad business practice to shoot for quick wins at the expense of the enormous long-term upside and financial health of the club. We fully understand that not every free lesson student will become members of the club, play lots of golf, and deliver positive ROI. We know this, and do not expect everyone to love golf and make it their lifestyle. We are trying to maximize what we consider “conversion rates”. The more people that enjoy golf and love the club as a place of recreation, the greater the ROI in the aggregate. Do not obsess over individuals who are not ideal for the program, or even those who seem to be abusing the program. Always be hospitable, accommodating, welcoming. There will be people who are not good fits, and that’s expected. With lots of participation, i.e., 30-50 people per day, even a 3- 5% success rate is a huge win – depending on average customer values. The Club will hire a full-time instructor for this position, or perhaps roll out the program on a bite-sized basis (1 or 2 days per week). The cost associated with bringing on this new person should be considered a marketing expense rather than a payroll expense. Marketing the club is this person’s primary responsibility – in fact, this position could supplant your “Membership Director” position. Note: This position does not need to be a high-paying position. The instruction itself is intended to be short lessons, basic in nature, and designed for beginners, casual players, seniors, families. A 2nd year apprentice would be perfect, so long as they are personable, motivated and eager to demonstrate their personal value for the facility. 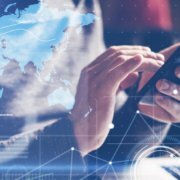 Club may determine highly targeted social advertising campaigns may be most beneficial as a supplemental means of attracting newcomers. 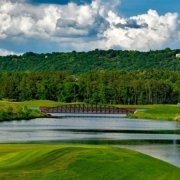 All staff members know that free golf lessons are available, and they are expected to personally invite befitting families and friends out to the club. Everyone on the team is expected to help market the club, and invite people into golf. Buyer Personas – Determining people to invite should be more inclusive than exclusive. Don’t shoot for perfection. That said, try to choose people and families who seem as though they would derive the most benefit from using the club. 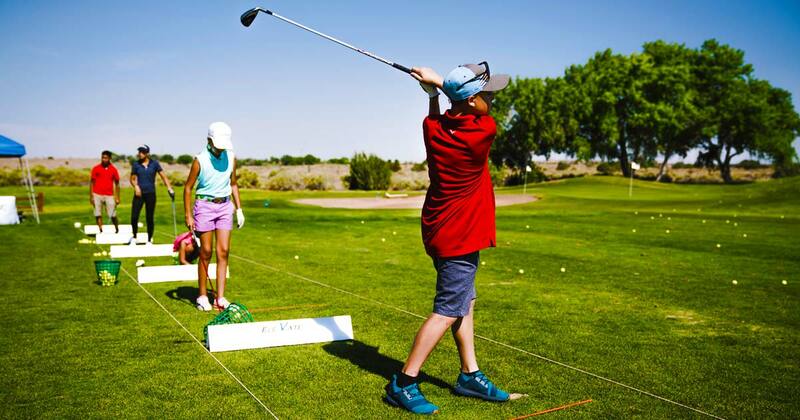 If you club is family oriented, find people with kids and invite them to a series of free golf clinics. Community – Everyone on your team goes to the supermarket, to sporting events, to church, family gatherings, etc. Promoting in schools, and youth circles as a family activity will bring people out to try the game. Carry cards or invitations and personally invite the people in your local community who may have never, or rarely considered golf. Advertising – The first club in your local area to deploy free instruction gets the most advertising mileage. We suggest highly targeted social ads on Facebook and Instagram. We suggest building an online registration system for all lesson bookings. 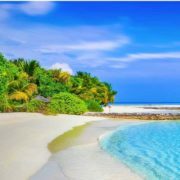 Lesson invitations include a direct website url to the booking page where people select the day and time that works best for them. The value of registering online is that it’s best for the customer. Very simple, and they can edit or cancel their reservation anytime they want. Also, you can deploy whatever restrictions you like (although we don’t recommend any at all). 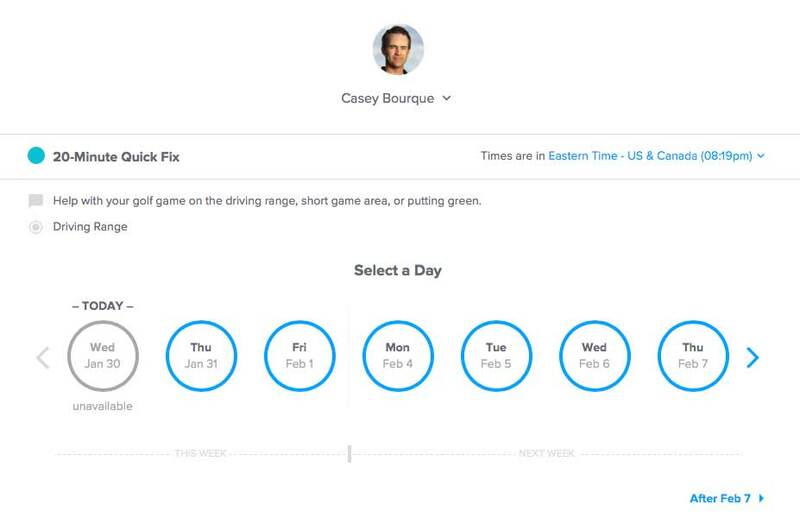 Auto responders and reminders help to limit missed appointments. You also need to fill them in on the basics – when to arrive, where to go, what to wear, what you’re covering in the lesson, etc. Letting them know exactly what to expect will help them feel welcome and comfortable. Additionally, online registrations mean that you’re able to capture basic contact info such as name, email and phone for following up. This is called lead nurturing. Not everyone is ready to sign up on day 1, but it’s important to continue to deliver value and stay top of mind. Circling back with surveys, fun opportunities and offers, and maintaining an open feedback loops increases conversion rates wonderfully. An online lesson booking system where we capture all contact information, and scale the booking process from any mobile environment. The instruction should be basic level help. 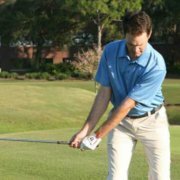 You should also make demo or used equipment available to those who may not have clubs. Beginners – Most instruction should be for casual golfers and beginners. Simple technique, lots of reps, and fun. Spinoff sessions could touch on how to play golf, basic rules, etiquette, etc. Families – If the lessons are free, who cares how many you have in the session. Invite multiple families to come out at the same time. More social the better. Get the kids having fun, but also pay attention to the adults and get them acclimated. Basics, basics. Seniors – Most seniors won’t pay lots of money for golf lessons, yet we want to retain them at the club as long as possible. Develop programming specifically for them. Helping them swing around physical ailments or limitations can prolong their enjoyment in the game. At least ¼ of the instructor’s time should be spent on reaching out, following up, gathering feedback, making introductions, etc. Surveys are great to follow up with. How did you like golf? Is there anything we didn’t cover? Is there anyone you’d love to play golf with? Would you like to get on a weekly or bi-weekly lesson cadence until you’re feeling more confident? The numbers here are going to vary tremendously. Private clubs selling high-end memberships will be very different than municipal or public golf courses. Regardless, if we’re going to take a long-term approach to growing the club, we need to understand what our customers are worth to us. A simple method to calculate an annualized average customer value is to take the total number of customers and divide into your gross revenues. Private clubs are easier than public courses of course. Let’s say that a club does 30,000 rounds of golf, and grosses $2 Million. Of those 30,000 rounds, the average customer returns to the club 10 times. That means we’ve got 3,000 “customers”. Divide that into $2 M and we get an average annualized customer value of $667. Each new customer is worth $667 on average each year. Looking at retention rates, we may be able to determine how long the average customer sticks around – let’s say 4 years. The average lifetime value of each new customer is $2,668. Of course, this is a very simple representation, and we’re not counting on the value of referral business. This math is very simple. Let’s say that we’re running free golf clinics, private lessons, family sessions, and senior helpers as we’ve discussed. For every 100 people that enter into the top of this “funnel”, let’s assume a worst-case scenario conversion rate of 5%. Just 1 out of every 20. We’re defining a conversion as someone who becomes a “customer” of the club – signs up for other programs, buys some stuff, signs up for advanced lessons, plays golf, eats and drinks in the restaurant, etc. You can establish whatever definition you like. The truth is that 5% is a terrible conversion rate, but it still works like crazy. That mean for every 20 people we invite out to the free golf lesson programming, 19 don’t ever sign up for anything else, ever. BUT, the 1 person that becomes a customer means that the club is bringing in $667 of gross revenue for the year, $2,668 overall. Each 30 minute lesson is designed to have multiple people – families, groups, clinic-style. Staying conservative, let’s say that each session has 2 people on average. If the instructor is teaching 6 hours per day, that’s 12 sessions and 24 golfers. Let’s round that to 20 for the sake of simplicity. So, we have 20 people each day, but considering half of those people are repeat lesson-takers, we’ll assume only 10 newcomers. This means that every 2 days of instruction yields 20 newcomers, and 1 new customer. That means 2.5 new customers per week (5 day week), 10 new customers per month, 120 new customers per year. Annualized, that’s $80,040. In terms of lifetime value, that’s $320,160 generated for the club. Doing the math on this kind of program, we’re assuming that the club is creating a new position. As mentioned previously, this position could be your membership director, a part-time staff member, or even a 3rd party part-timer that shows up 1 day per week. Results not the same. Based on a full-time position, salaries of course will vary depending on who you are hiring and the market that you’re in. As mentioned previously, this position does not need to be a highly paid position. *Based on 30 minute lessons, 6 hours per day, 5 days per week. All considered, these estimates and assumption are extremely conservative. A 5% conversion rate is very low for public facilities, but for private clubs may be very high (of course average customer values are also much higher).